The numbers for 2015 were impressive, with more than 1650 attendees throughout the week's events. Our current Social Media followers now number more than 1700. With 15-20 posts each week, there are approximately 1.5 million impressions over the span of a calendar year. Web traffic is also up, with more than 45,000 visitors for the year and well over 100,000 page views. There were also 500,000 or more impressions from TV, Radio, and Print in February and March leading up to the event. 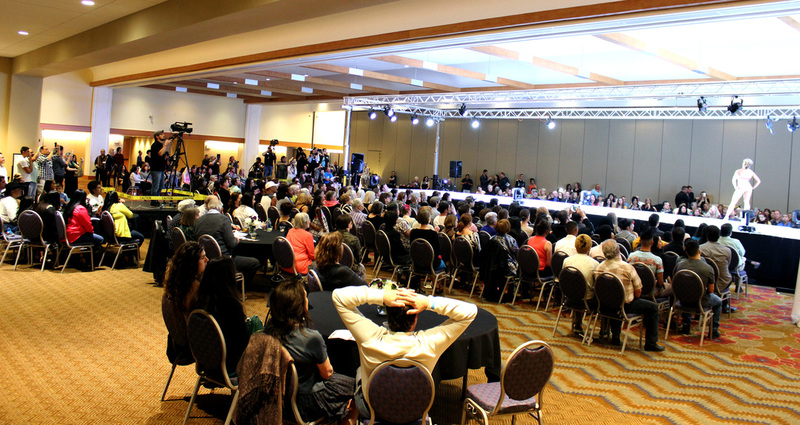 Sponsorship with NMFW puts your company in front of potential customers via NMFWQ Program, presented at all fashion week events taking place at the Convention Center, banners and posters displayed in various areas, NM Fashion Week website, and various ,media outlets and social media posts. Sponsorships start as low as $500. albuquerqueapparelcenter. com/contact, or Phone: 505.803.6966.